For offshore boaters operating modern GPS navigation systems, it can be hard to imagine how important lighthouses once were to marine navigation for thousands of years. Lighthouses not only served to warn mariners that they were approaching shallow waters, they were also beacons of hope… a welcome light in the pitch-black night that let a mariner know land was near. Although many of these iconic structures are still in use today, they’re not nearly as essential to modern boaters or ship captains as they were in years past. Nevertheless, they’re still a part of marine history that is worthy of appreciation and preservation. The nearest lighthouse to us is “Charleston Light” (pictured above) at the entrance to Charleston Harbor on Sullivan’s Island, SC. This lighthouse also has the distinction of being the last manned lighthouse built in the US (1962). First Known Lighthouse – Pharos of Alexandria, Egypt. This 450 ft tallk structure was constructed between 300 and 280 BCE and was one of the Seven Wonders of the Ancient World. First US Lighthouse – Little Brewster Island in Boston, MA. 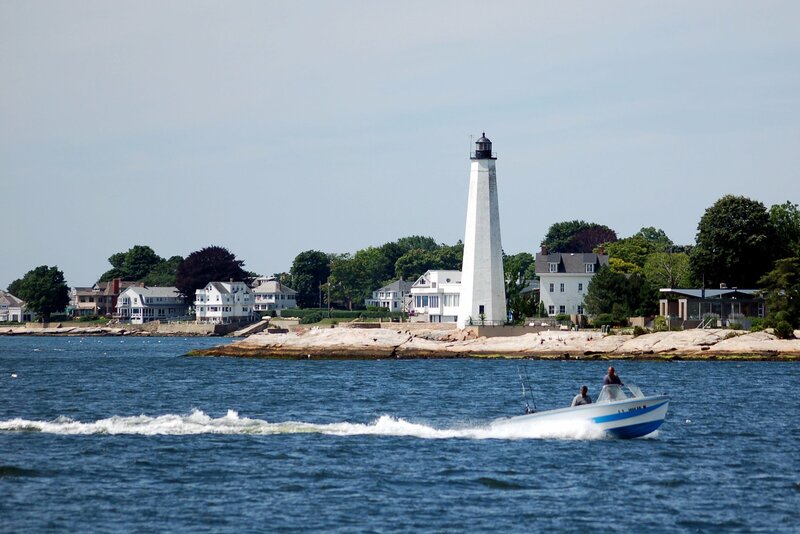 This light house was built in 1716 and it is also the only manned lighthouse left in the US. US Lighthouses in 1776 – At the signing of the US Declaration of Independence (when the US became a nation), there were only 12 operating lighthouses in the country, which was only 13 colonies/states large at the time. The Lighthouse Service was created in 1789 by the 9th Act of the first US Congress. Oldest Existing US Lighthouse – Sandy Hook, NJ. This lighthouse isn’t just for tourists, it’s still operating! Tallest Lighthouse in the US – Cape Hatteras, NC. This 196 ft. tall lighthouse was built in 1872. Cape Hatteras, on the Outer Banks, is also one of the best fishing and water sports destinations in the country. This area also happens to have the dubious distinction of being the “Graveyard of the Atlantic” since 2,300+ vessels have gone down in these waters since the 1500s. 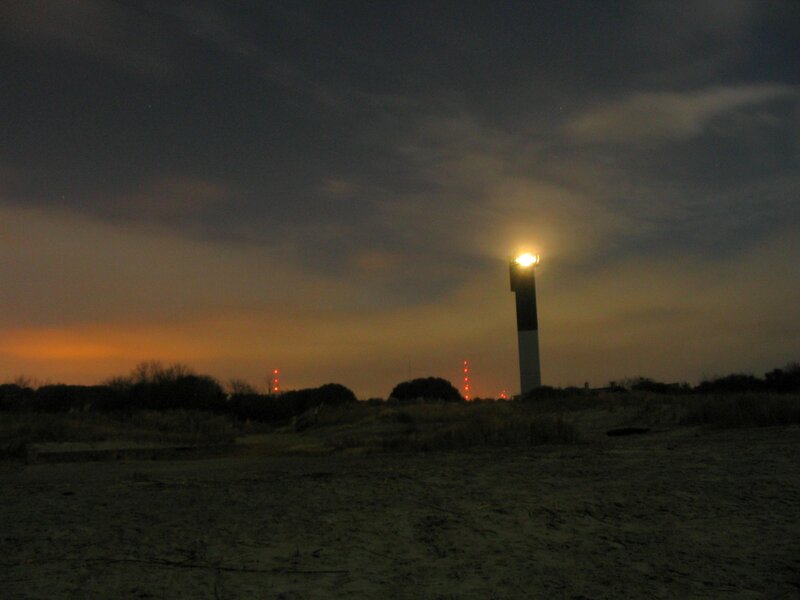 Brightest Lighthouse in the US – Oak Island, NC. It produces the lighting equivalent of 14,000,000 candles and can be seen 24 miles out to sea. State With Most Lighthouses – Michigan! Yes, the Great Lakes have plenty of lighthouses too. Michigan, with over 150 past and present lighthouses, has more than any other state in the US. Total US Lighthouses – In the entire history of our country, about 1,500 lighthouses have been constructed, but only about 680 of them are still standing. What Lighthouses Have You Seen? What lighthouses have you visited? What are your favorites? Let us know in the comment section below! 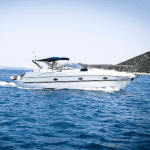 Next: Are You Getting a Marine Fuel Tax Refund For Your Boat Fuel?